Irish set dance is a popular form of folk dancing in Ireland. Set dances are based on quadrilles which were court dances. They were transformed by the Irish into a unique folk dance of the Irish rural communities. A "set" refers to the four couples that create a square formation for the dance and it also refers to the collection of 4 - 6 "figures" that represent a particular dance. 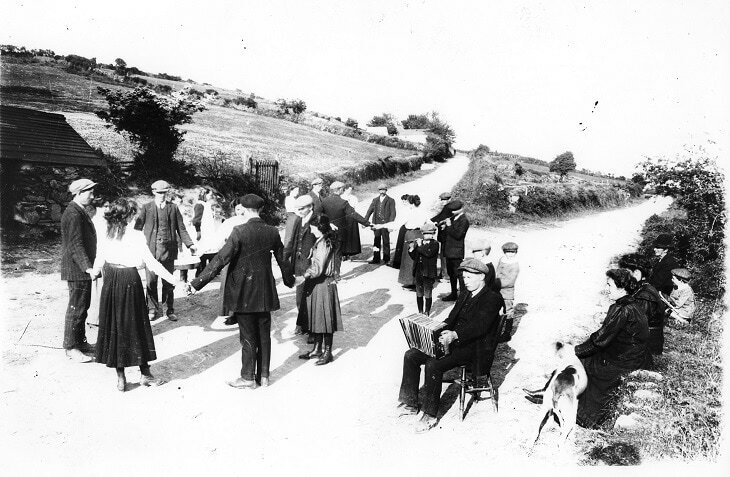 Set dances are found throughout Ireland. The dances tend to be named after the village or region of origin. The dance figures of a particular set usually have a common theme or structure. The figures tend to begin and end with repeated parts that everyone dances and then during the figure each couple or pair of couples will dance separately. Movement in the figures closely resembles contra dance. The types of music for the figures are reels, jigs, polkas, and hornpipes. 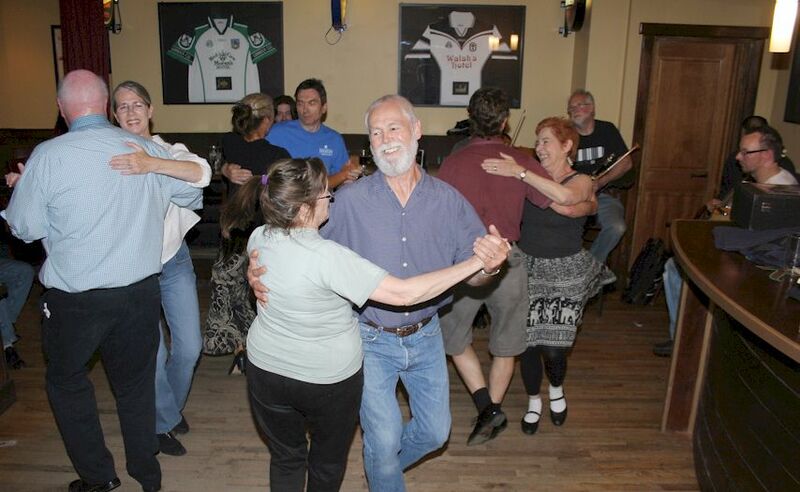 In the Seattle area, monthly dances are held at the Wilde Rover Pub in downtown Kirkland and Shawn O'Donnell's American Grill & Irish Pub in Fremont. Live music is played at every dance! Instruction is provided by caller Jim Belcher. See the table below for dates, times, and additional info. Admission is free. Donations are encouraged to support the Puget Sound branch of Comhaltas Ceoltóirí Éireann (organization promoting Irish music, dance, and song) and the musicians. To confirm dance event dates, visit the Seattle Irish Set Dancers Facebook site. To receive dance event updates via email, join our Google Groups mail list.